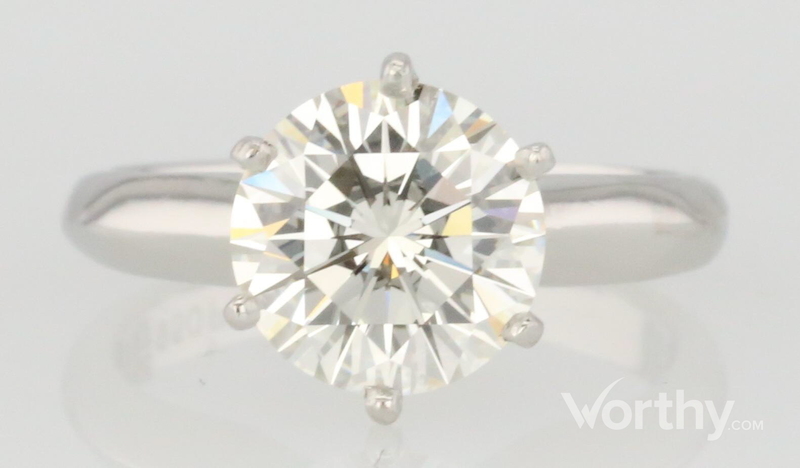 platinum custom made solitaire ring consisting of round shape, natural diamond, weighing 2.19 - 2.21 carats, having a K color and VS1 clarity, according to GIA grading scale. The center stone measuring 8.41mm x 8.45mm x 5.16mm and carries a EGL grading report, No. : 2000-08676231. Inclusion Description: No inclusions visible as mounted. WE DO NOT HAVE A HARD COPY OF THE EGL-INT. REPORT. EGL report states 2.21ct, H, VVS2.